Good morning, vapers. What’s happening today? Gosh, it’s getting cold now, isn’t it? I’m keeping my fingers crossed we get some good snow this year. Is it too early to start talking about all that? Ah, to hell with it. I love autumn and winter. There. I said it. Not that the weather has anything to do with what I’d like to talk to you about right now, of course: the 100 Large Zest Pest eliquid review. I was lucky enough to be sent the entire brand new 100 Large range from VapeClub, and I’ve been working my way through them slowly but surely. I’ve already reviewed Donut Worry, which tastes as fabulous as the name, but I felt it was time for something with a bit of a twang to it. Isn’t lime meant to be super refreshing for a hot summers day? Maybe I should have dug this one out sooner … ? 100 Large eliquids are made in the UK from “secret recipes”, and all kits include a 120ml bottle with 100ml of 0mg eliquid in it, 2 x nicotine shots (18mg, 10ml, Big Shot Nicotine Booster), and a cleaning cloth. The kits are £19.99 from VapeClub and you don’t need to buy anything else. Everything is included — simply add the two little bottles to the one big bottle, give it a shake and you’re good to go. You have 120ml of 3mg eliquid, and it’s 70% VG and 30% PG. You can also buy 2 x 100ml + 4 x 18mg nicotine shots for £35 if you wanted to stock up on your favourite flavour. P.S. I REALLY love the fact that it actually states “nic-shots included”. I don’t think enough websites make this very clear — whether or not the short-fills come with nic shots included. I love the name Zest Pest. I also love the little kits, especially the cleaning cloths. Somehow, I always make such a mess when I mix eliquid. I genuinely have no idea how I manage it. It’s not exactly difficult, is it? Take the two bottle tips off, pour one in the other, dispose of the empty bits. I always end up knocking something over or suffering from some other eliquid related tragedy. I’m a disastrous human being. Whatever. I own it. I do feel, however, that gloves would be a helpful addition to the kits. The Rochford Project included black gloves in the eliquid kits, and I always thought that it was a really cool touch — one that I remembered and talked about even a year or so later. Right … This is the fourth eliquid from the 100 Large range that I’ve tried, and it’s the one I’m least impressed with so far. It’s not a bad eliquid flavour, to be honest, but I definitely find it very dry and a bit scratchy on the throat, to begin with. I think my throat gets used to it after a while, but for the first few inhales, I get a niggly cough and I ALWAYS need a drink close by with this particular flavour. Cute write-up. I dig it. But does it taste like it’s meant to … ? The lime itself is actually not a bad lime-flavour, but it’s a bit generic. I actually found Zest Pest a little boring. Like … it’s lime. That’s all I could taste. There was no clever twist of flavours, no blending into anything else. It’s just a zesty lime flavour and although it was pleasant, it wasn’t really that exciting. I’m not sure what I expected … Maybe it doesn’t have quite enough flavour? Or a combination of flavours? 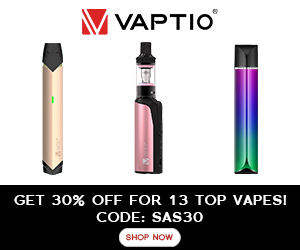 ** I did happen to notice that out of all the 100 Large eliquids on the VapeClub website, Zest Pest had the least number of reviews and the lowest review rating. I used 100 Large Zest Pest in a couple of devices, but the two I used it in the most was the Jac Vapour VIM + 0.5-ohm S-Coil (sub-ohm) and the Jac Vapour Series-S22 tank + Vapour2 Trinity box mod (as shown in the pictures). I found the juice less scratchy on the throat in the VIM than I did in other devices, and the device has actually become my absolute favourite vape, for both sub-ohm and MTL. Occasionally, I’ll pick up the bigger, beastier tanks, but I’m finding that despite my niggles, the VIM delivers a great vape every time. Zest Pest delivered plenty of throat hit and vapour, even in my little VIM. In fact, the device might be small in size, but that thing packs a powerful punch. There were lots o’ clouds if you’re into that kinda thing. I think this is a little bit of a half-way eliquid. I half-like it. There’s nothing I particularly dislike about it, but there’s not enough to lure me in and keep me interested. Does that make sense? I remember the very first lime-based eliquid I ever bought and tasted — Key Lime Pie by Pocket Fuel if I remember rightly. It was lovely — a real zingy eliquid. I wouldn’t remember Zest Pest enough to recommend it to someone who asked me about lime-based eliquids. That’s brutal, right? Brutal, but honest. It’s just not memorable. Zest Pest isn’t too jam-packed with flavour, which I found a bit odd because the rest of the range has been very flavoursome. Donut Worry was a really good donutty delight, packed with deliciousness, but I didn’t find this one delivered the same. I even let it steep for two weeks before I vaped with it and I still found it a bit … lacklustre? Like a “starter” sub-ohm eliquid. Not too much, not too little, just in the middle, not hitting one spot exactly. Would I buy 100 Large Zest Pest eliquid again? Without sounding too harsh, probably not. There are a few 100 Large eliquids I’d regularly vape, but this one is not one of them. Check out Donut Worry instead. I reckon it’s much nicer. Would I recommend 100 Large Zest Pest to you? I’d recommend this to beginners, but not to a “connoisseur” of eliquids. I personally think that a few people will find this flavour a bit blah. It’s got a little bit of cooling agent (I think), but not so much that it blows you away. Barely recognisable. It does have a half-decent citrus taste about it, though. Not a very flavoursome one, but it’s there. I’m not sure if someone looking for a real citrus tang would be happy with the taste this particular eliquid provided, to be honest. More information about 100 Large at Large Juice Vape Co.
*Prices & information correct at the time of writing. HONESTY POLICY: These 100 Large liquids were sent to me by Vape Club. I did not pay for these products. I was not paid for my review and I will not be paid for my review. All opinions are mine and in no way influenced by the brand/manufacturer. Please see Disclaimer for more details.